Zoe is a pretty little white dog with a big heart. Three years ago, Zoe was found at the Marion County dog pound. She looked as if she had recently had a litter of pups. Her right rear paw had been surgically removed. She was a mess and needed some dental work and a spay. But ending up in the dog pound was probably the best thing to have happened to little dog Zoe. She was finally safe. My Mom adopted her and she fell in love right away. They were inseparable. Mom passed away a couple of months ago. 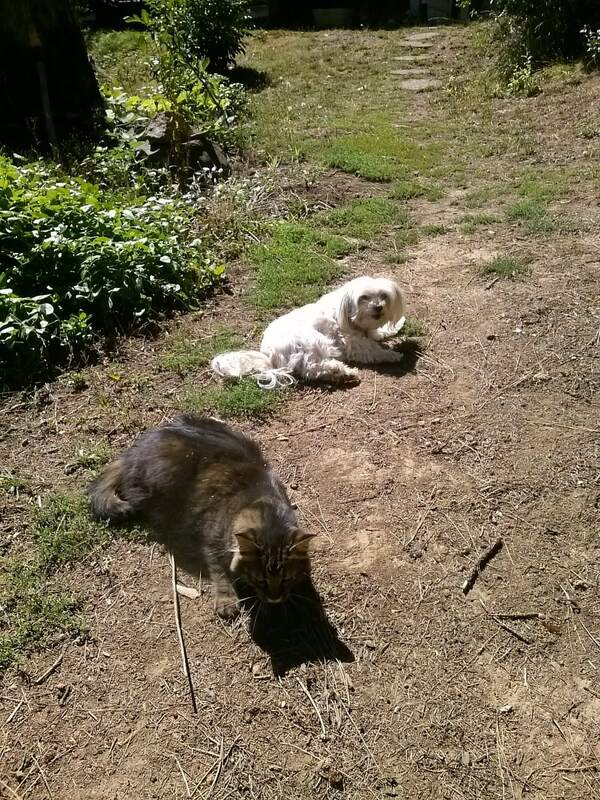 And now, I am fostering Zoe at my house, where she lives with two big rescue dogs, cats and chickens too. She is getting lots of love and she is bouncing back. Zoe would love to have a second chance at love. She loves to snuggle on the couch, and even while missing a paw, she can jump up with no problem. She can wander the farm here with the other dogs. When she wants to move fast, she just holds up the bad paw and hops right along. Zoe needs regular grooming. She is not a big fan of brushing, but she tolerates going to the groomer pretty well. She does not shed. The Maltese are known for being hard to potty train. With a regular schedule she does pretty good. She is O.K. with a pee pad, if you are. The car is scary to Zoe, but she does not mind a ride with reassurance. Zoe is looking for a quiet home with someone who will dote on her. And she will repay with kisses and a little yip when you walk in the door. 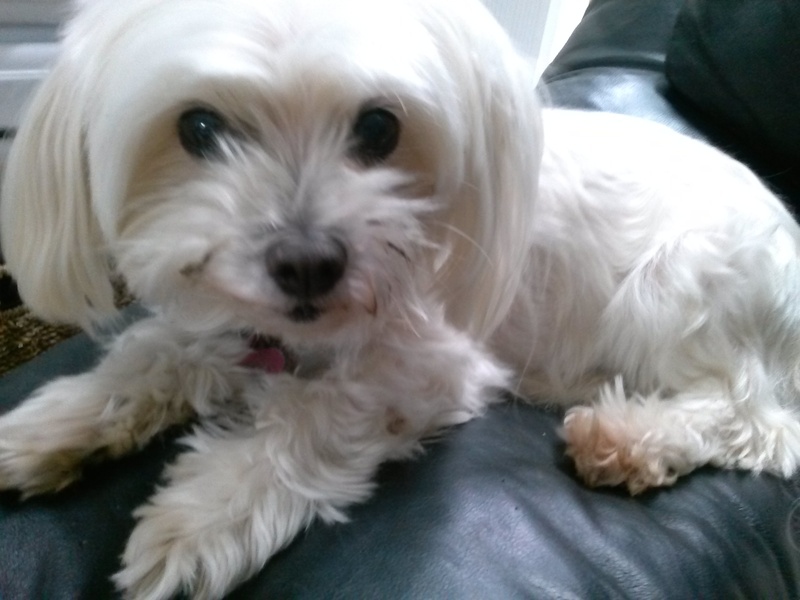 Zoe is about 7 or 8 years old and weighs about 11 pounds and she is mostly Maltese. If interested in adopting her, please contact Kelly at 503-593-4520.